Album Release Party to Benefit Cancer Services- May 10! Bekah Bradley is a regular performer at many Fort Wayne Entertainment venues and recently released her first album, a self-titled EP produced at Sweetwater Sound. 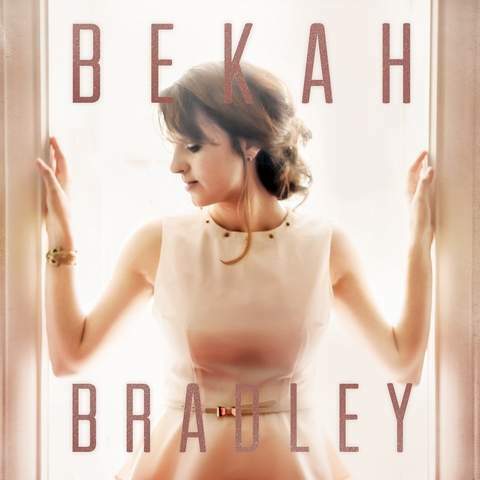 The album is available on iTunes, Amazon.com, Google Play, or through her website, www.bekahbradley.com. On Friday, May 10, she will host a album release party at 8:00 PM at Sweetwater Sound. Proceeds from the release party will benefit our organization. A few weeks ago, we launched our first tee-shirt design contest for Lapper 2013, and we were overwhelmed with the response. Hats off and a BIG thank you to everyone who participated. We had a great mix of design entries and we are pleased to announce the winner. Congratulations Nick Resor! His design is below. We can’t wait to see the sea of lavender at our event on May 18. If you haven’t signed up for Lapper yet, you can do so online at www.lapper2013.kintera.org. If you raise $25 by May 1, you get one of these awesome tee shirts! Combine with love, mix with willingness, and blend with individual talents. That is our secret recipe…inspired by wonderful volunteers who demonstrate each day what it takes to be a volunteer. Interested in volunteering? We’d love for you to join our team. Find out more on our volunteer page. The TinCaps opened their home season at Parkview Field on Thursday, and for the 3rd year, we were honored to participate as the featured charity. Our Assistant Program director, Tina; board member, Kathy Peterson; and Development Director, Amber, attended the game, passing out information about our organization and talking to people about the upcoming Lapper walk on May 18. Though it was cold and rainy, thousands of people flooded the stadium and many came by to visit us. One of our clients, Paxton (pictured left with his mother), had the honor of throwing out the first pitch, and when he did so, he was met with thunderous applause. Thank you TinCaps for allowing us to be a part of your home opener every year! For the 3rd year, we will be the featured non-profit organization at the TinCaps season opener. We hope you can join us! For many years, the employees of Greatbatch Medical have organized a basket raffle to raise money for us. 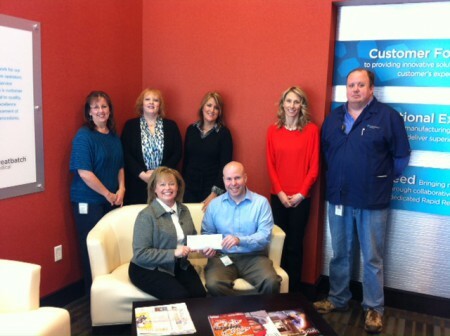 Yesterday, CSNI volunteer Stephanie Beck visited the facility and was presented with a check for $1,100! THANK YOU! Wow! 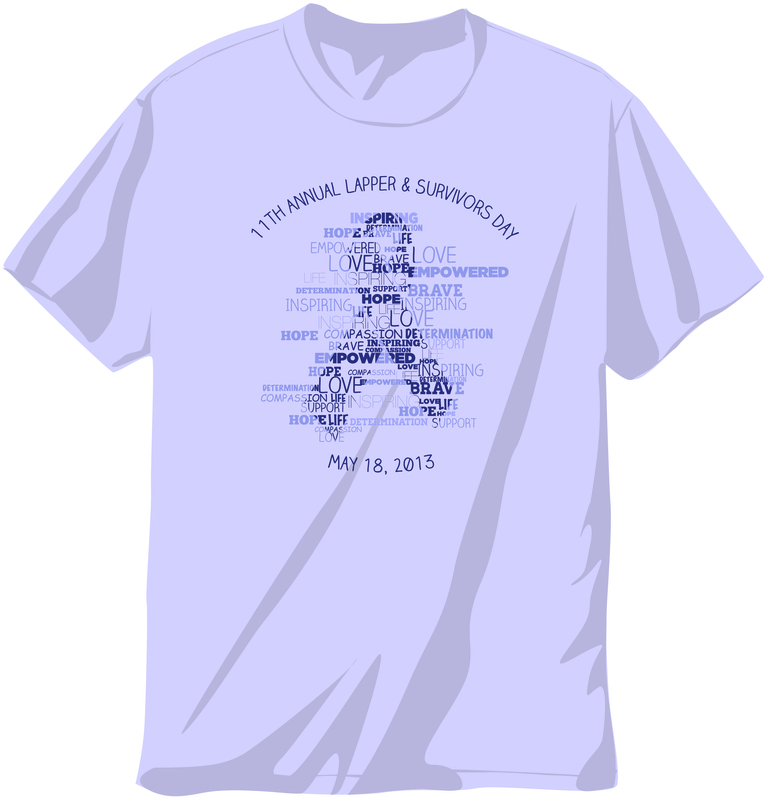 We received many wonderful designs for our Lapper T-Shirt Contest. Hats off and big thanks to all who participated. We had a great mix of design entries from amateurs and professionals who all have a heart for cancer. The following four designs are finalists in our competition and we invite you to vote on your favorite design. You can vote once per day and voting will close April 10. The winning design will be emblazoned on our official Lapper T-Shirt! 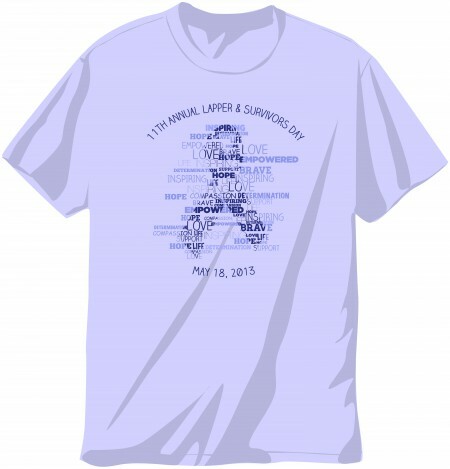 After you vote, be sure to register for our 11th Annual Lapper & Survivors Day, if you haven’t already. We look forward to seeing you Saturday, May 18, as we walk to honor the cancer community and celebrate life! *Click on each design to enlarge the image. Cancer affects countless people in so many ways. The poem below was sent to Cancer Services from Patty, a friend of Judith. Patty was so moved by Judith’s death from cancer that she penned these emotional words. At Cancer Services, we are here to provide support- from the time a person is diagnosed, through their treatment and survivorship. Sometimes, in spite of the best treatment, we still lose our friends. It was from a six-letter word, I cried. and the word itself was Cancer. When Cancer hits, it hurts all lives. Were the ones who were left behind. Crying out, when is there a cure? They live out precious lives. We will not lie down and die. Happy Spring! 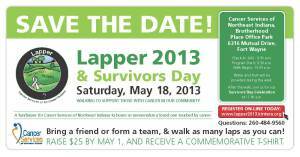 With Spring upon us, that also means Cancer Services of Northeast Indiana’s 11th Annual Lapper & Survivors Day is just around the corner. Please save the date and join us Saturday, May 18 for a walk to support people with cancer in our community. Bring a friend or form a team and walk as many laps as you can! Immediately following the walk we will host a Survivors Day celebration complete with food, fun and games for the entire family! A fundraiser for Cancer Services of Northeast Indiana to honor or memorialize a loved one touched by cancer. Downloading the registration forms at cancer-services.org. We look forward to seeing you there for this celebration of life and loved ones! 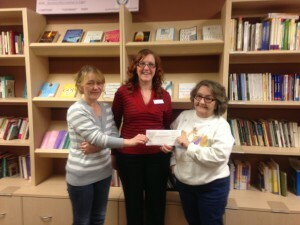 Samantha (L) and her mother Ronnie (R) present our development director Amber with a check from their event. Samantha Scanlon recently lost her father to cancer, so to honor him and raise money for Cancer Services, she and her mother, Ronnie McCave, organized an all ages music event, which took place on March 8. Hundreds of teenagers came out to Room 101 for a night of music and dancing. Samantha and Ronnie stopped in last week to present us with the proceeds from the event. Because of their hard work, the event raised $665! 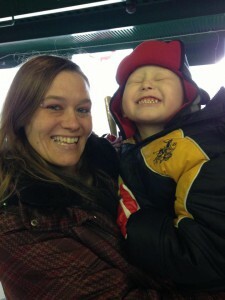 Thank you Samantha, Ronnie, and everyone who supported the event.